Take overnight train to Kizhi from St. Petersburg or Moscow. 07:00 Arrival in Petrozavodsk from St. Petersburg. Meeting with the guide at the railway station. Transfer to the restaurant. 08:20 City tour of Petrozavodsk. 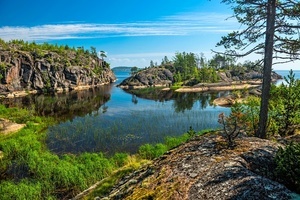 You will get acquainted with the history of the capital of Karelia and visit its major places of interest. Photo stop near the monument to Peter the Great. 11:30 Departure for Kizhi Island by hydrofoil. 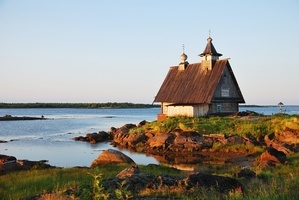 15:00 Excursion by boat to the ancient wooden chapels around Kizhi Island, which form the famous Kizhi Necklace. 09:00 Transfer to Kizhi Island by boat (10 minutes). 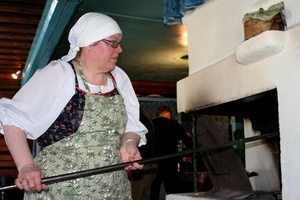 09:15 Excursion in the Kizhi Open-Air Museum of Wooden Architecture. 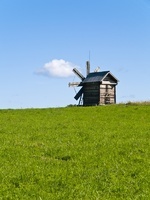 Kizhi is one of the first open-air museums and one of the most popular tourist attractions in Russia. The pearl of the museum is its world-known wooden church ensemble which is also a UNESCO World Heritage Site since 1990. 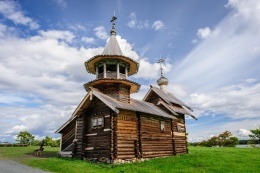 After the excursion the bus will take you to the other side of Kizhi Island, where you will get acquainted with the restoration centre of the main church of the Kizhi Ensemble. You will see where and how the church is being restored and learn some secrets of traditional Russian wooden architecture. On the way back we will make a stop near the highest point of Kizhi to enjoy the panorama view. 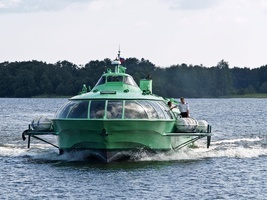 14:45 Transfer to Petrozavodsk by hydrofoil (1 hour 15 minutes). 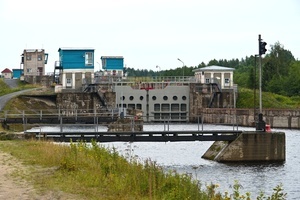 16:00 Arrival in Petrozavodsk. Transfer to the railway station.